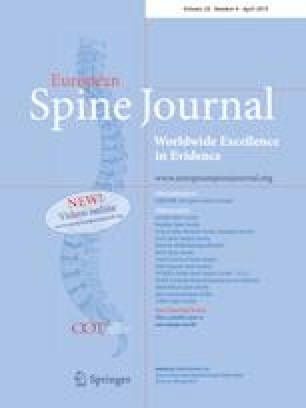 Spinal angiography is the gold standard for evaluation or diagnosis of spinal arteriovenous malformations (AVMs). However, some feeding arteries might be overlooked when multiple feeders exist. This study aimed to retrospectively review cases of spinal intra-dural AVMs, which were identified by three-dimensional digital subtraction angiography (3D-DSA), and attempted to estimate the number of feeding arteries. We retrospectively reviewed patients with spinal intra-dural AVMs who underwent 3D-DSA at Hokkaido University Hospital from January 2005 to December 2016. We selected 9 patients in whom we could obtain data of multi-planar reconstruction of 3D-DSA. We measured the computed tomography (CT) values of feeding arteries and draining veins. The CT values represented the averages of maximum CT values of 5 continuous axial slices. The ratio of the CT value of feeders to that of drainers (F/D ratio) was calculated. The correlation between the F/D ratio and the number of feeders was examined with Pearson’s correlation coefficient. The average number of feeders was 2.3 (1–4), and the number of feeders was significantly positively correlated with the F/D ratio (r = 0.855, P = .003). We conclude that the number of feeding arteries of spinal intra-dural AVMs can be estimated by using the F/D ratio obtained from 3D-DSA. The online version of this article ( https://doi.org/10.1007/s00586-018-5852-1) contains supplementary material, which is available to authorized users. None of the authors has any potential conflict of interest.